I could almost feel the snow flakes lilting over the audience. 3D glasses and my favorite little girl made for a snapshot of wonder inside the theater when the world outside was living inside lines drawn by control freaks. I was 5 again with Chloe and wanted nothing more than to stick out my tongue and catch a snowflake. I could see it, sense it, but a few hours later we were back outside dreaming of fantasies and legends left behind in the darkened room. How soon we forget that we do live in a world of fantasy, but not how the dictionary defines it. Fantasy: noun. The faculty or activity of imagining things that are impossible or improbable. In comes my latest research read – a book on Harriet Tubman. 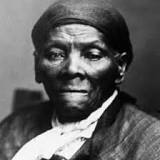 If your memories of history class are dulled by forgotten dates and blank spaces, take one day to know Harriet Tubman. She was a slave, a hero, Moses and the stuff of legends. 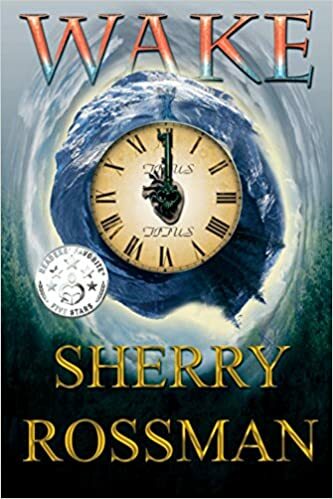 Her story is absolute truth and full of events you now find only in fantasy books. And the Bible. It’s amazing how we can read something so much that we forget the main point. 300 slaves to freedom. Every time she journeyed to collect a new group of slaves she knowingly risked her life. When she was a child, she received a blow to the head which caused narcolepsy. She would, without warning, fall into a deep sleep, unable to be awakened until her body said so. Here’s where God turns tragedy into miracles. When she was “out” she claimed that she had visions of places she had never seen before, but later came upon in real life. These places she would find when escorting people out of slavery – she recognized them from her dreams and would know where to lead her group to freedom. How many times have I wished I knew which direction to go? Yep, a bold sign in 3D would be the ticket. “Miracles only happen in the Bible.” How many times have we heard (or thought) this? Well, Harriet Tubman came long after The Bible was written. A skeptic? Here is a good, free ebook on her life, along with plenty of documentation about her gifts: Get it here. I think she saw the extraordinary for at least one reason – she dedicated her life entirely to following God’s voice. No worries about saving up for a comfortable retirement or an epic vacation – just walking each day with God. When she had a vision, an inkling, a prophetic dream, she didn’t rush to the mirror to find “crazy” in her eyes, or find the civil war version of Dr. Phil – she followed God’s instructions. Not her own American dream, but that of her brothers and sisters. Do you have your own miracle-story? Share it with us in the comments. So glad to read your wonderful reflections on this beautiful woman. What a brave soul, made brave by her trust in God. Thank you for remembering her! Thanks, Trisha! She was amazing!